The year 2013 is drawing to a close, and it sure was a busy one for the club! To help reflect on the year that was, I would like to share with you the important moments of IGA-Ken during the year, from the perspective of the Arena Dojo. Without a doubt, the most significant events for the club were the chances to join international taikai and to expand our lists of contacts abroad. This was the first time we had an opportunity to do something like this, and was also the first time to have our members try to get dan-ranks. The following events happened where members of the Arena Dojo took part in. 1) 13th Hong Kong Asian Open Kendo Championships, held in Hong Kong, China, from March 8-10. – IGA-Ken sent a delegation composed of 14 members, 13 of whom were from the Arena Dojo & 1 from UP-Ken. – 11 dan exam candidates were sent, of whom 10 passed. 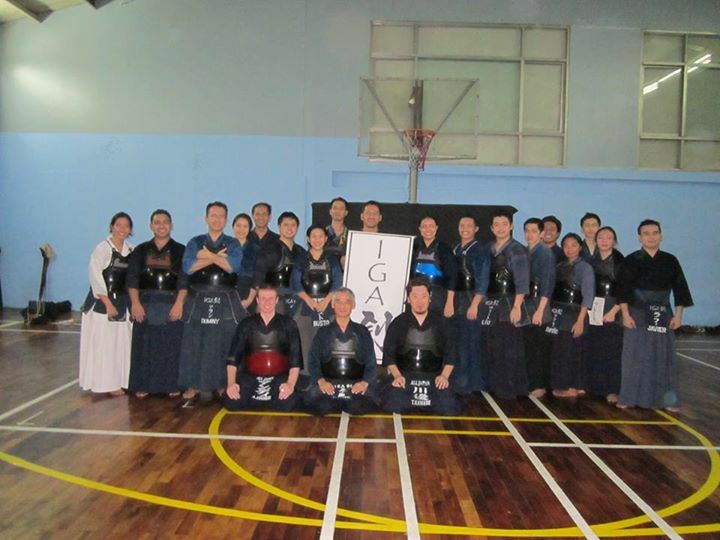 6 passed shodan (Dardsie Abriol-Santos, Ejay Angeles, Lex Busto, Fort Liu, Ricky Daniel Reyes & Jomar Romero), 1 passed nidan (Neil Andrew Bascos), and 3 passed sandan (Alain Duminy, Loida Estanilla-Inting & Nakagane Ryosuke). 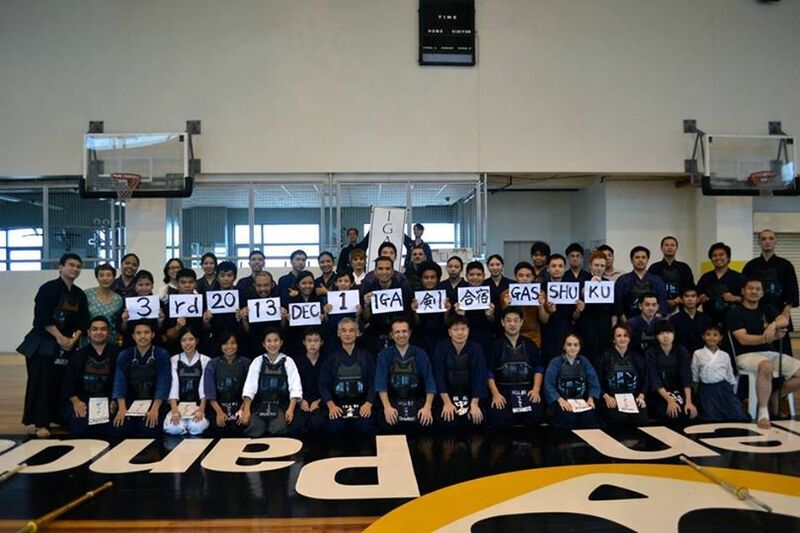 – One 3-dan & under men’s team (Fort, Jomar & Ricky), and one men’s open team (Alain, Neil, Kutch, Nakagane-San & Igarashi-Sensei) participated in their respective events. – One women’s open team (Lex, Ejay & Loida) participated and reached the final 8. Loida also won a fighting spirit award. 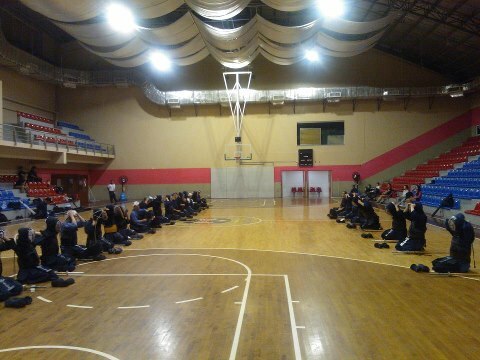 2) 10th ASEAN Kendo Tournament, held in Penang, Malaysia, from August 23-25. 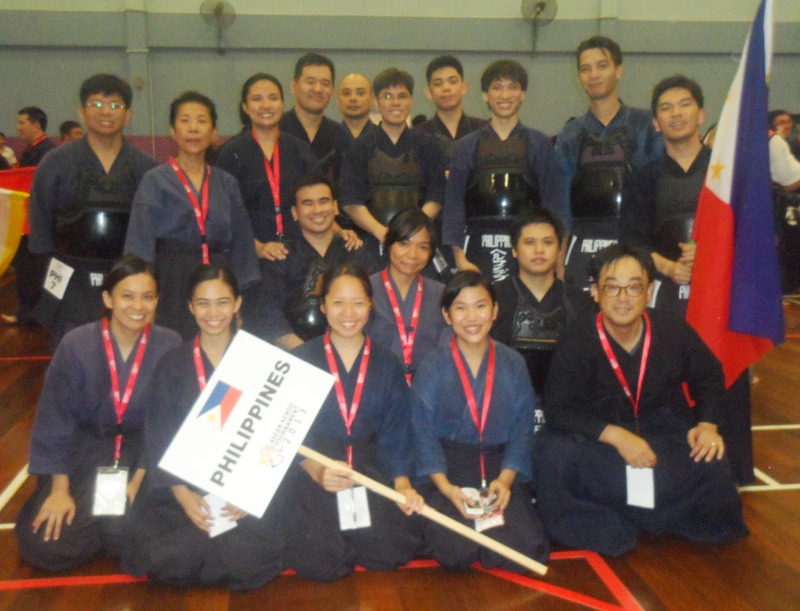 – IGA-Ken sent a delegation of 11 participants as part of the greater Philippine delegation (in cooperation with Manila Kendo Club). 10 of these participants were from the Arena Dojo & 1 from UP-Ken. – 1 dan exam candidate was sent, Kutch Inting, who was able to pass sandan. – 6 IGA-Ken members participated in the men’s individual competition (Kutch Inting, Neil Andrew Bascos, Ricky Daniel Reyes, Josh Espiritu, Raffy Javier & Vince Hernandez). In the men’s team competition, Philippine Team B was composed of IGA-Ken members (Ricky, Josh, Raffy, Neil & Kutch), while Team A had one IGA-Ken member in it (Vince). – 5 IGA-Ken members participated in the women’s individual competition (Loida Estanilla-Inting, Dardsie Abriol-Santos, Ejay Angeles, Lex Busto & Ice Empeno), and only Ice made it to the second round of eliminations before bowing out. In the women’s team competition, the lone Philippine Team had 4 IGA-Ken members (Dardsie, Lex, Ejay & Loida). The team did not manage to get past the eliminations, but Loida won a fighting spirit award. 3) 2013 AEUSKF Kendo Tournament, held in New York, USA, on June 23, 2013. 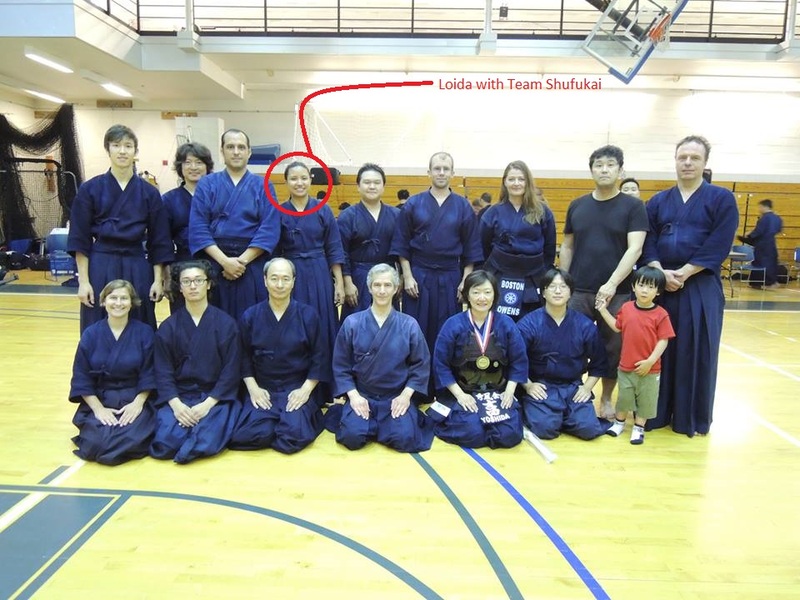 – Loida Estanilla-Inting, while on an extended visit with the Boston Shufukai, participated in both the women’s individual and team competitions of this tournament. The third anniversary of the Arena Dojo was celebrated on Feb 6. This was certainly a significant event, and marked three years of constant growth of the dojo (in terms of membership and activities) and improvement of the members in their Kendo careers. As mentioned earlier, we produced our first batch of yudansha this year, which is significant after only three years of operation. This annual event was initiated by the Arena Dojo back in 2011, but has now grown to incorporate all three dojo of IGA-Ken. 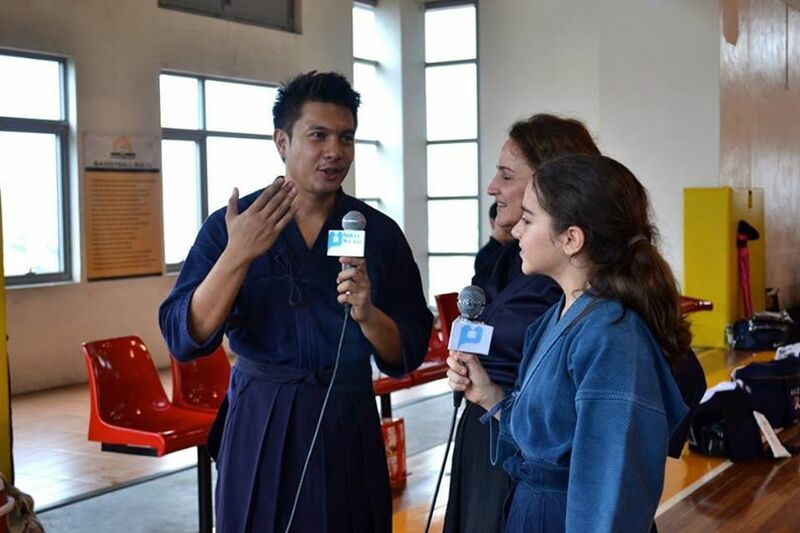 This year it was held in Golden Panda Dormtel in Quezon City, from Nov 30 – Dec 1. The Year-End Shiai was also held during this event, on the afternoon of Dec 1. 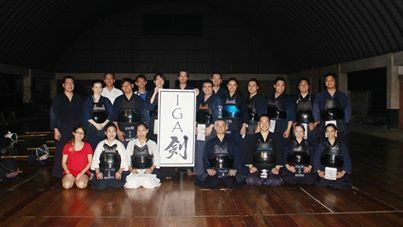 – This year’s Gasshuku had 55 participants. 35 came from the Arena Dojo, 18 came from the Dasma Dojo, and 2 came from UP-Ken. – Kihon Nobu Shiai was won by the team of Mark Chua (Dasma), April Enerio (Arena), Josh Dajao (Arena), Wely Sabalilag (Arena) & Von Cunanan (Arena). – “Secret Shiai” was won by team Dasma (John Michael James, Mark Chua, Allan Lim, Yamashita Nonomi, Pietra Sorze, Andrea Sorze, Mhark Ruiz Lizardo & Angelo Ampil). – Mudansha Individual Shiai had the following results: 3rd place – Angelo Ampil (Dasma), 2nd place – Ain Cabonce (Arena), and 1st place – Josh Espiritu (Arena). – Yudansha Team Shiai was won by team Sugawara, namely: Jomar Romero (Arena) , Loida Estanilla-Inting (Arena), Alain Duminy (Dasma) & Sugawara Shinmei (Arena). 2013 also saw the start of the Godo Keiko Kai, based in Treston International School in Taguig, and held every Monday from 6:30pm – 8:00pm. 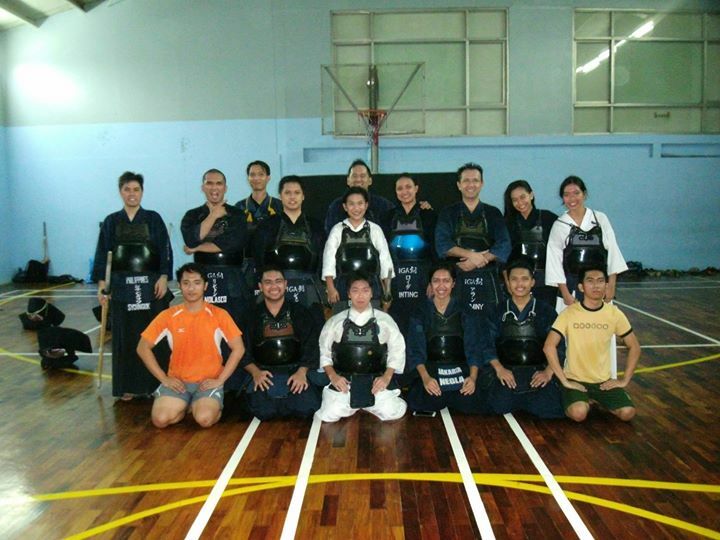 This was a joint project to allow members of the IGA-Kendo Club and the Manila Kendo Club to freely practice with one another. This was organized by Takahashi-Sensei (with the cooperation of Igarashi-Sensei and the Sensei of MKC), and the Inoue-Family. In the latter part of the year, some of the training days were also conducted under the supervision of Kutch Inting and Loida Estanilla-Inting. The Godo Keiko Kai culminated in the finals of the Treston Shiai, where one of three participating IGA-Ken teams managed to make it. Team Cherry Fox was composed of Matsumoto Takeshi-Sensei (Dasma), Nakagane Ryosuke (Dasma), Raffy Javier (Arena), Ain Cabonce (Arena) & Vince Hernandez (Arena). The team managed a 2nd place finish, after knocking out Team Zero of MKC in the semis, before bowing to Team FHM of MKC in an exciting finals match, where the final outcome had to be settled via daishyosha-sen. Each member of Team Cherry Fox were given a white kendogi donated by Takahashi-Sensei, while all other IGA-Ken teams were awarded new tenugui for their efforts. All participating members are certainly looking forward to the resumption of Godo Keiko Kai (this time in the new STI College Venue, every Monday from 7:00pm – 8:30pm) and the 2014 edition of the Shiai. 1) All Japan Budogu – We were honored and delighted to welcome Kawabe-Sensei, the All Japan Budogu President, and Fisher-Sensei, the Director of International Sales, to the Philippines last November. We hope that this would be the start of good relationships between IGA-Ken and their company. 2) ASEAN Visitors – We also welcomed many kendoka from our neighboring countries to practice with us this year. This includes Mr. Jun Kim of Cambodia, Mr. Abe Tatsuki of Malaysia, and Ms. Neglasari Martini of Indonesia. We hope to see more of them and their compatriots practice with us in the coming years. 1) Local TV Show appearances, including features on Sports 37 on UNTV37, Mars on GMA7, and Good Morning Boss! on PTV4. 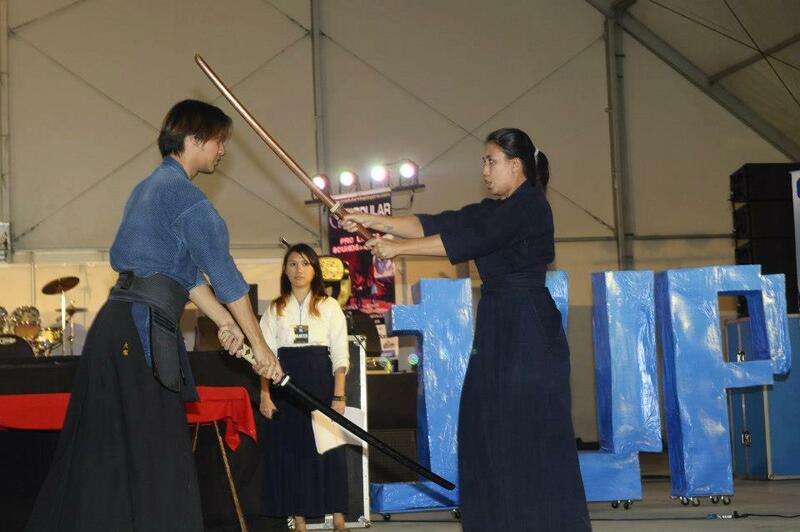 2) Kendo demonstrations in the UP-AME 1Up Convention in PICC, the ToyCon in SM Megamall, Kendo Hajime! 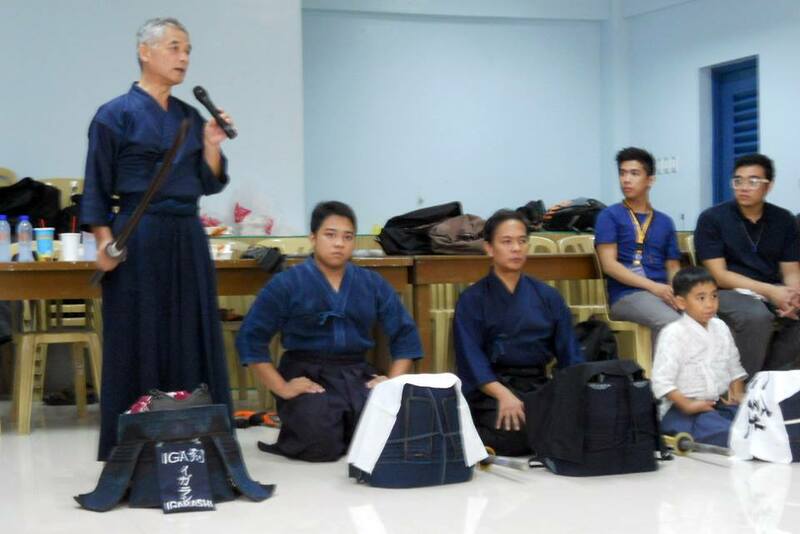 in Powerplay (Quezon City), the Bunka Koryu Kai event in Adamson University, and the Nihonggo Language Center Open House in their Manila Campus. 3) Publicity booth in the Little Tokyo Sunday Fiesta in Makati City. So to sum up, the Arena Dojo certainly had an eventful and successful 2013. We are eagerly looking forward to a 2014 that is equally as grand. See you all next year! 1) Igarashi-Sensei and Junko-San – As the father and mother of IGA-Ken, your guidance is essential and well received. 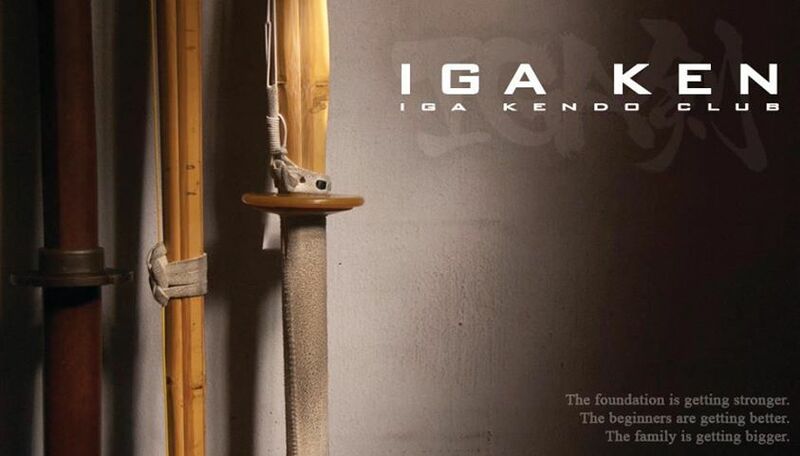 IGA-Ken would not be IGA-Ken without you, and we hope for more years with you. 2) Matsumoto-Sensei and Nakagane-San – Though you now only rarely visit Arena, we are still grateful for your teaching, humor and fighting power. 3) Loida, Alain, Neil and Shinmei – As senior yudansha, your help in running the club and teaching the others has been invaluable. I hope you do not tire of lending me your support. 4) My co-leaders Lex (UP-Kendo Club President) and Johnny (Dasma Village Dojo Manager) – Thank you for running the other dojo of IGA-Ken and helping to make the club what it is. 5) Rikki, Gek, Dane, Leo, and all the rest who I can’t remember but certainly appreciate – Thank you for helping to organize the various Arena Dojo activities over the year. Looking forward to your help again in 2014 and beyond. 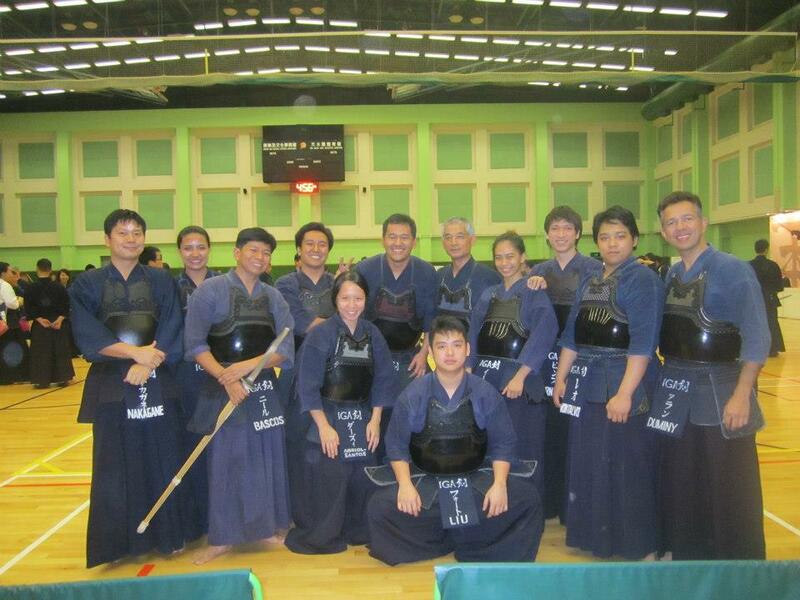 This entry was posted in About, Events, Kendo, Milestones, Stories / Testimonials and tagged 2013, Arena Dojo, IGA Kendo Club, kendo, Philippines, Year End Report. Bookmark the permalink.